Stroke is the third leading cause of death in the United States, and more than 140,000 people die from stroke each year. Immediate action is needed to prevent permanent damage to the brain, which is why it’s important to know the symptoms of stroke and react fast. 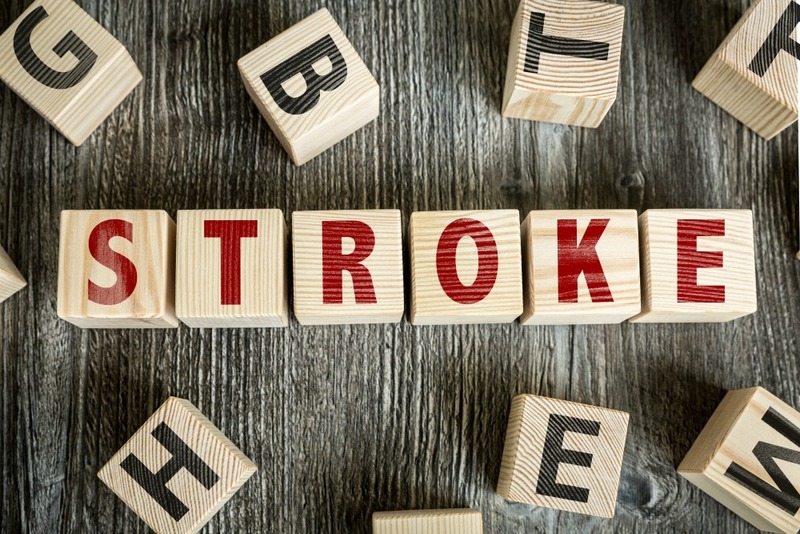 Knowing the initial stroke symptoms can go a long way toward helping your loved one survive and recover from a stroke. Pre-stroke symptoms can often be difficult to spot, so making sure that you know the warning signs might just save a life. In honor of National Stroke Awareness Month this May, take time to learn the signs of stroke—and what to do when one occurs. Senior LIFE provides comprehensive health and support services designed to keep aging adults safe and independent in the home. Before we review the warning signs of stroke, let’s take a look at how strokes affect the U.S. population. When someone experiences a stroke, it means that there has been a interruption of blood flow to the brain, causing damage to the brain cells. The longer the brain goes without oxygen, the worse the damage becomes. Almost 800,000 Americans experience a stroke each year, and it’s the leading cause of disability. While the risk for a stroke increases with age, it’s worth noting that people younger than 65 also experience strokes. Women statistically have more strokes than men, and risk factors for both genders include high blood pressure, smoking, and high cholesterol. Strokes can be a particular concern for those who suffer from heart disease. If your loved one is at a higher risk for stroke, talk with his or her doctor and medical team at Senior LIFE about ways to reduce the risk. That may include lifestyle changes or medication. There are a few stroke warning signs to keep in mind. While not always foolproof, knowing what to look for could help save a life! Luckily, stroke experts have devised a quick and easy to remember acronym to know what to do if someone is experiencing a stroke. B: Balance. Check to see if your loved one has recently stumbled, lost his or her balance, or isn’t able to walk a straight line. E: Eyes. Notice if there are sudden changes in vision. F: Face Drooping. Is one side of your loved one’s face drooping? Often the most recognizable and well-known stroke symptom, facial drooping is a sign of stroke. A: Arm Weakness. Check to see if both arms are able to be raised. If one is not, this might be a stroke. S: Speech Difficulty. Speech that is unusually difficult to understand, or is suddenly slurred, is a warning sign of stroke. T: Time to Call 911. If even a single one of the above symptoms are present, it’s time to call for help. Reaching emergency responders is as easy as dialing 911. Record the time that symptoms occurred—this information will be helpful to doctors. Often, stroke symptoms depend on the side of the brain that is affected. There’s no way to know how severely the brain has been impacted, so it’s best to connect with emergency medical staff as soon as possible. Recovery after a stroke often requires a comprehensive combination of therapies and treatment options. Senior LIFE offers physical therapy, speech and language therapy, and occupational therapy to help your loved one live life to the fullest at home—even after a stroke. There is no limit to the number of sessions and there’s no copay associated with rehabilitation, or any other aspect of care through Senior LIFE. Senior LIFE is a LIFE Program designed with your loved one in mind. The goal is to allow older adults to remain in the home as they age, and provide all the necessary care to help them be independent and happy. Senior LIFE is dedicated to helping older adults live their best lives at home in their communities with family and friends. Find a location that works best for your family, and connect with a Senior LIFE staff member to begin the enrollment process for your loved one.